Totaly Red to freak everyone out. 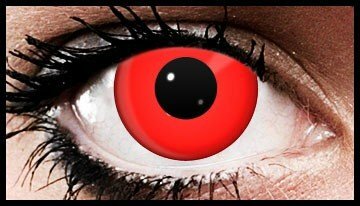 These crazy coloured contact lenses are a really bright red colour. You will defo have people looking with these on.